Download link: The Android version is only available on the Google Play Store here. Do not try to get it from another store or install it from an apk file, it will not work. Installation guide: See the first steps of the online manual. User's manual: First, read the introduction to major features. Then carefully read the online manual. Download link: The Windows version is part of the Value Pack. This pack includes a VPN client for Windows and a VPN client for Mac OS X. The two clients are contained in the same installer file, named thevaluepack.air, that can be run only after having installed the free Adobe AIR ™ runtime available here. Once Adobe AIR ™ is installed, you need to fill this form to get the Windows installer file thevaluepack.air. Those credentials (name and password) are the ones you have chosen after having installed the Android version on your Android device, like explained here. Installation guide: The different steps of the download and installation procedure are described with more details here. User's manual: First, read the introduction to major features of the Android version, since the Windows version provides exactly the same features. Then carefully read the online manual. Download link: The Mac OS X version is part of the Value Pack. This pack includes a VPN client for Windows and a VPN client for Mac OS X. The two clients are contained in the same installer file, named thevaluepack.air, that can be run only after having installed the free Adobe AIR ™ runtime available here. Once Adobe AIR ™ is installed, you need to fill this form to get the Mac OS X installer file thevaluepack.air. Those credentials (name and password) are the ones you have chosen after having installed the Android version on your Android device, like explained here. Installation guide: The different steps of the download and installation procedure are described with more details here. User's manual: First, read the introduction to major features of the Android version, since the Mac OS X version provides exactly the same features. Then carefully read the online manual. In case you would like to install the Perl client without having any Internet access, please read the specific installation steps described in the blind hacker's DNS tunneling approach. Useful when you can access really nothing but dig (or nslookup) and a Perl runtime, not even root-level permission. Here are the generic installation steps for any Unix-like operating system (including FreeBSD, several Linux distributions, Cygwin, Mac OS X, ...). After having completed those steps, you can get every informations about using the command line client in the official online user's manual for vpnoverdns.pl. To start quickly, you can run the command line with the [-h|--help] parameter, in order to display the SYNOPSIS. First, download the latest version of vpnoverdns.pl here and save it in your home directory. 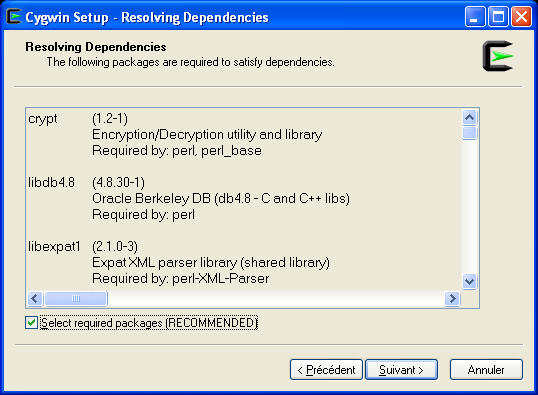 Now, you need to download and install Perl: get the sources or a binary distribution here. Net::DNS is the only mandatory module to run vpnoverdns.pl. Among the many dependencies of this module (other modules needed by this module), only Digest::HMAC is not a core Perl module and, thus, has not already been deployed when you installed Perl previously. But note that Digest::HMAC is not used by Net::DNS when invoked by vpnoverdns.pl. So, you are allowed to simply install manually Net::DNS, even without installing any of its own dependencies, and you will be able to run vpnoverdns.pl correctly. Be careful with the version of Net::DNS you choose: avoid installing Net::DNS 1.03 (you would get an error like Not a GLOB reference at [...] IO/Select.pm when using vpnoverdns.pl: see this article for more informations about the corresponding bug). You have a choice between installing a recent version of Net::DNS, for instance version 1.04 available here on CPAN. Or to install the old but perfectly working version 0.68, available here on CPAN. With Net::DNS 0.68 or older, vpnoverdns.pl will obtain better download throughput because this version can decode DNS TXT resource records containing binary strings (TXT strings made of a collection of any byte from 0 to 255). More recent versions can not handle such strings, then vpnoverdns.pl must ask the VPN server to use the base64 encoding scheme inside TXT strings, reducing the ingress hroughput by about 25% (of course, this only happens when fast mode is selected, since standard mode does only use DNS A resource records). Finally, you are in front of another choice: either installing Net::DNS globally (only possible with root access permission), or installing Net::DNS in your user account (root access permission not needed). Here follows some examples of the Net::DNS installation steps, depending on your previous choices. We make the assumption that you have Internet access and that one of the following non-interactive network downloaders is available: fetch, wget or curl. If you do not have any Internet access, see this hack to discover how to download, install and run vpnoverdns.pl anyway (nothing is impossible, with VPN-over-DNS). Warning: prerequisite Digest::HMAC_MD5 1 not found. % Note that on Cygwin, if an installation step waits indefinitely during the command "perl -MCPAN -Mlocal::lib -I$HOME/perl5/lib/perl5 -e 'CPAN::install(Net::DNS)'", press Ctrl-C to let the installer continue with the next step. Example 4: using CPAN to automatically download and install the latest Net::DNS version and its dependencies, with root access permission (su root, run cpan and choose the default settings; under the CPAN shell, run the following command: "install Net::DNS"; exit the CPAN shell with "exit"; exit from your root shell with "exit"; finally, run vpnoverdns.pl with "perl vpnoverdns.pl"). Note with cpan command line tool, useful in this example: when the site dirs don't exist (this is sometimes the case when using Linux inside a docker container), the CPAN shell interactive configuration states "Warning: You do not have write permission for Perl library directories." and proceeds to suggest local::lib for installation, which is not the optimal suggestion for root installation. You need to choose sudo approach instead. % Note that on Cygwin, if an installation step waits indefinitely during the command "install Net::DNS", press Ctrl-C to let the installer continue with the next step. - with csh or tcsh: "setenv PERL5LIB $HOME/perl5/lib/perl5"
- with bash, zsh or ksh: "export PERL5LIB=$HOME/perl5/lib/perl5"
If you have installed Net::DNS with root access permission, you do not have to include any -I option or set any environment variable. If you want to use the [-i|--initialize] parameter of vpnoverdns.pl, you also need to download and install recent versions of those three Perl modules and their dependencies: XML::Simple, LWP::UserAgent & LWP::Protocol::https (see here for a listing of required versions). Since those modules depend on many other modules, the easiest way to install them correctly is to use CPAN instead of trying to do it manually. See the above number 3 and number 4 examples to know how to install a module and its dependencies with CPAN. Example number 3 shows how to install them with root access permission and example number 4 shows how to install them in your home directory. In this latter case, do not forget to export the PERL5LIB environment variable before running vpnoverdns.pl. the preferred way is to use "-i" option: use "-u"
--ssh -S connect to remote host using a DNS tunnel. --sshoptions -o ssh command options. ex. : vpnoverdns.pl -S mysshserver -o "-l root"
--sshcommand -C optionnal ssh remote command. restricted account has been configured (see "-A"
http://www.wikipedia.org and a few other sites. Be sure not to not download version 1.03 of Net-DNS Perl module (older or newer versions should be nice): you would get an error like Not a GLOB reference at [...] IO/Select.pm when using vpnoverdns.pl; see this article for more informations about the corresponding bug. So, upgrade your Cygwin environment in such a case. Now, download the latest version of vpnoverdns.pl here and save it in your home directory. Here are the generic installation steps for FreeBSD 9.3-RELEASE and 10.2-RELEASE. Then, you have to download and install Perl and some Perl modules needed by vpnoverdns.pl. 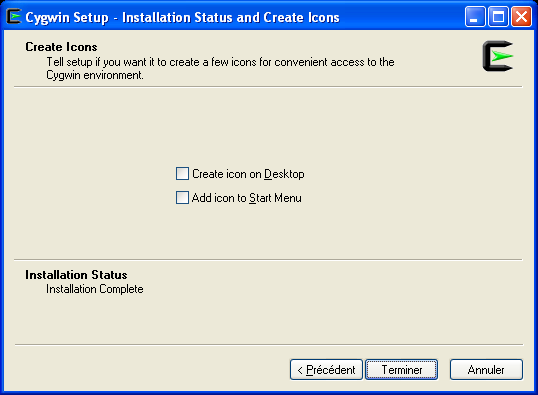 Here are the generic installation steps for Ubuntu 12.04 (precise) and 14.04 (trusty). Here are the generic installation steps for Ubuntu 15.04 (vivid), 15.10 (wily) and 16.04 (xenial). Here are the generic installation steps for OpenSUSE 13.2 (harlequin) & OpenSUSE 42.1 (leap). Here are the generic installation steps for Debian 6.0.10 (squeeze). Here are the generic installation steps for Debian 7.9 (wheezy). Here are the generic installation steps for Debian 8.2 (jessie). Here are the generic installation steps for Oracle Linux 7.2. Here are the generic installation steps for Kali Linux 2.0. Here are the generic installation steps for Raspbian GNU/Linux 8 for Raspberry PI (jessie).